Beatmaker Kit: Learn, Play and Produce in a compact, all-in-one kit. Take your beats to the next level with the Beatmaker Kit, a fun new way to learn beat-making and produce tracks — with an all-in-one kit that’s incredibly compact and costs $299 (£249, €279). Beatmaker Kit combines the Lightpad Block and the Loop Block with a huge range of software programs. From the playing surface of the Lightpad Block to the astonishingly deep sounds from the new Cypher2 synth, you have everything you need to take your track from start to finish — and improve your skills while you’re at it. Learn finger drumming with a free subscription to Melodics, a desktop software program that has hundreds of fun, interactive lessons. It teaches beat-makers of all abilities. Play 300+ sounds in the NOISE app, Equator Player, Cypher2 Player, and Strobe2 Player engines. Add nuanced expression on the 5D Touch surface of the Lightpad Block. Produce your tracks with Ableton Live Lite (included) or any number of compatible DAWs. Tweak your track faster with the Loop Block, which gives you shortcuts to production tools in the software. Travel with it anywhere, because it’s incredibly small. The surface area is no larger than a postcard. Even when you’re using software programs on your laptop, the whole kit fits in a backpack. We’re especially excited about Beatmaker Kit’s integration with Melodics, the best skill-building program out there — whether you want to learn finger drumming or keyboard technique. It’s part app, part game, and it’s totally engaging. Melodics is the brainchild of Sam Gribben, who was motivated by the challenges he faced — even as a musical person — in building new skills. Many of us have been there. 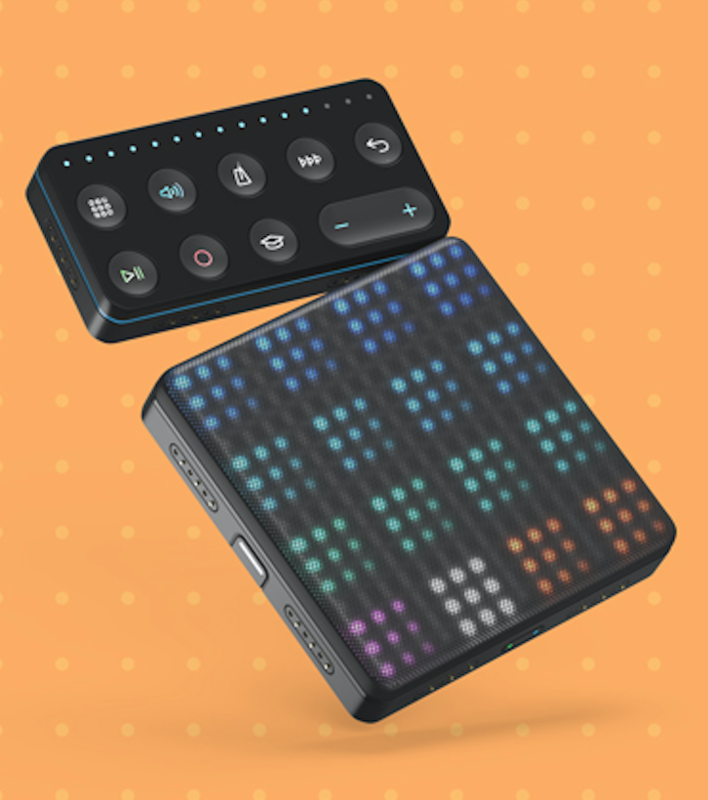 The perfect integration of Beatmaker Kit and Melodics opens up ROLI BLOCKS to learners of all abilities. Beginners can make their first beats and tracks. And experienced music makers have a fun and structured way to gain new skills. Beatmaker Kit is now for sale on ROLI.com and retailers including GuitarCenter, Sweetwater, John Lewis, and Amazon. Get it today — and learn, play, and produce anywhere.